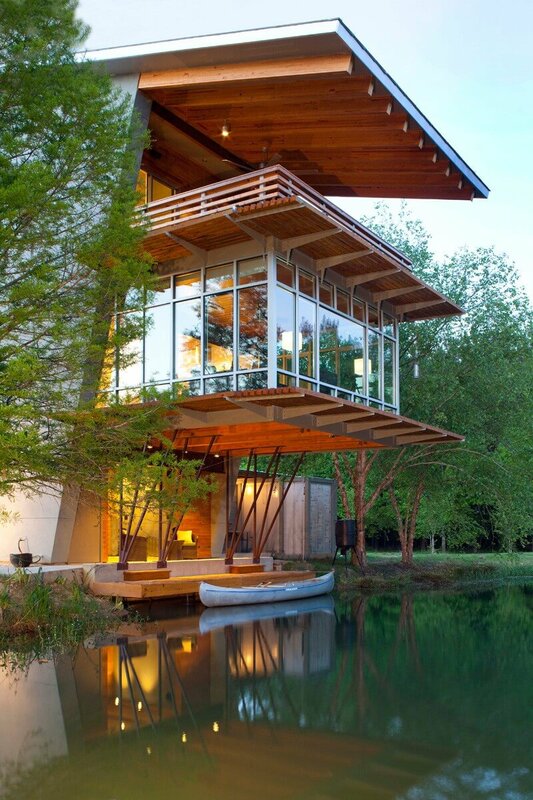 A three-story modern vacation home butts right up to the edge of a glassy pond like a lookout tower, a small dock offering access to canoes for exploration. 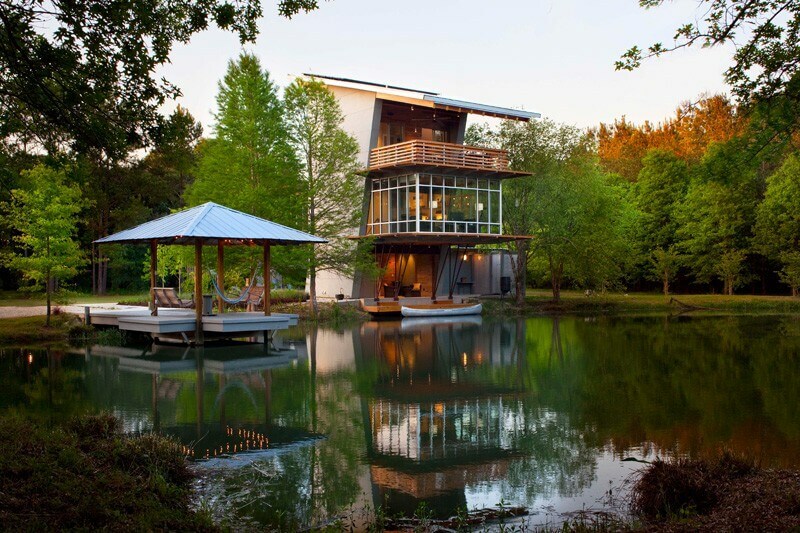 The Pond House at Ten Oaks Farm in Hammond, Louisiana takes full advantage of a serene natural setting with a glassed-in space overlooking the water, and an open-air terrace on the third floor. 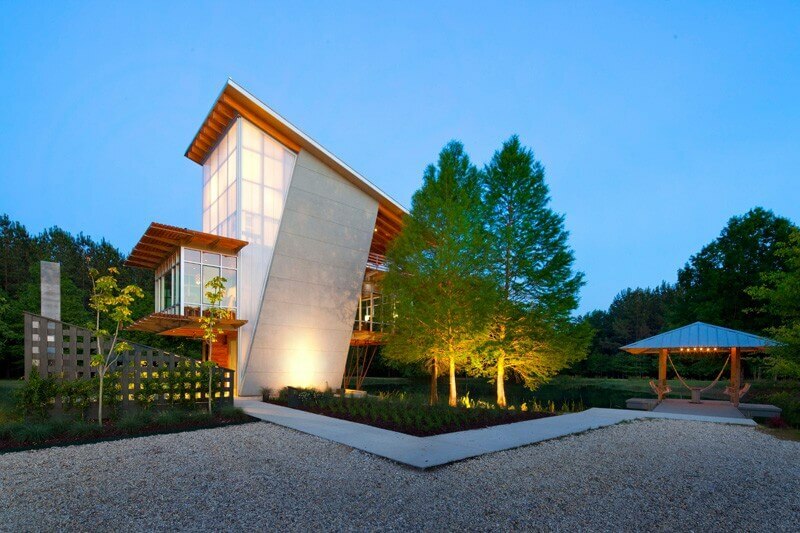 Holly & Smith Architects created the net-zero retreat on a remote 15.5-acre property, collaborating with the clients for a tranquil getaway that honors the nearly-untouched nature of the land. 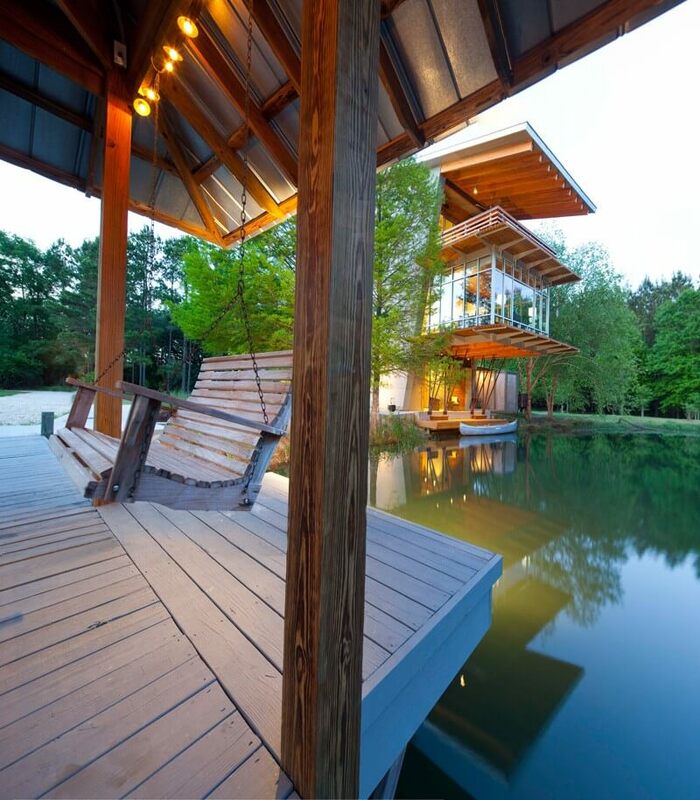 A single-sloping roof directs rainwater into the pond and gives a set of solar panels optimal exposure to the sun. 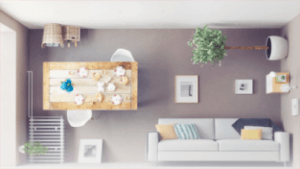 Spray foam insulation, high efficiency heating and cooling, energy star equipment and LED lighting help maintain a small footprint. 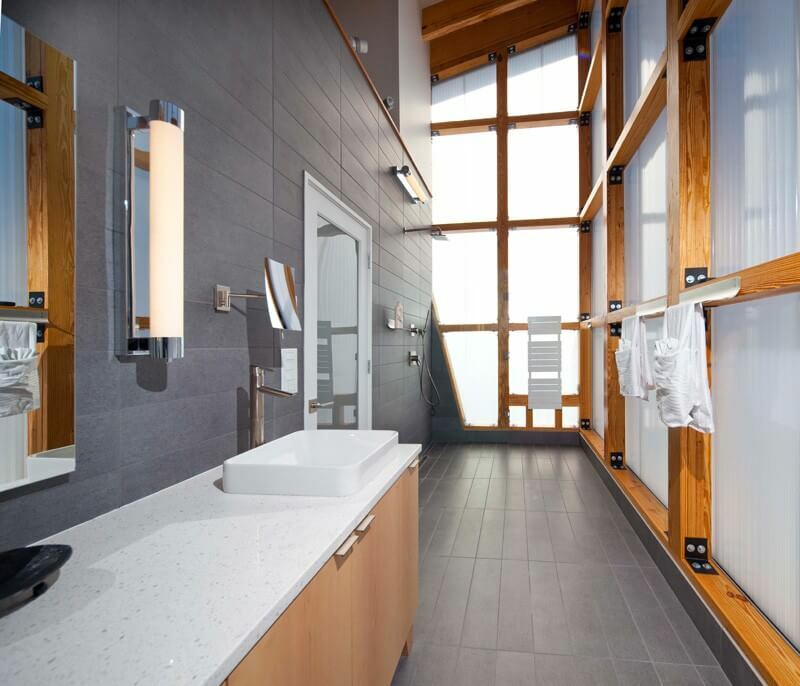 All of that glass lets in lots of natural light during daylight hours, and large operable windows enable cross-ventilation, opening the home to the outdoors. 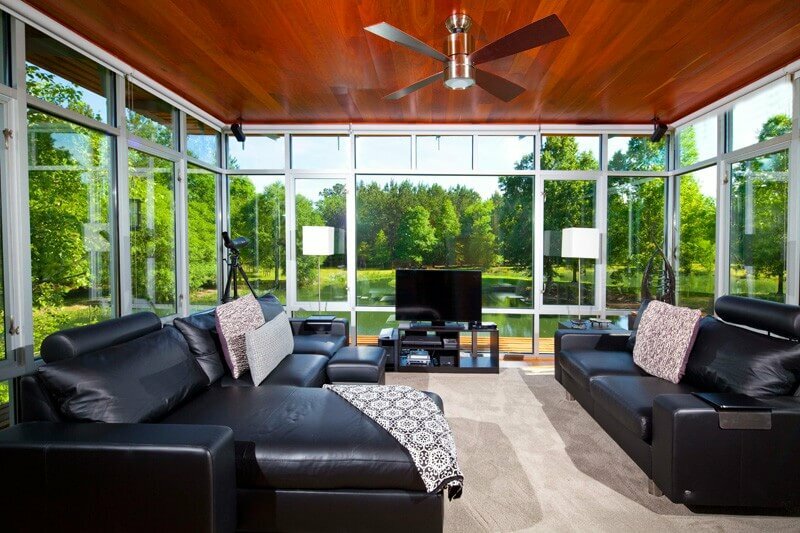 The overhanging roof juts out over the lower floors, shading them during the sunniest hours and providing privacy to the master suite. 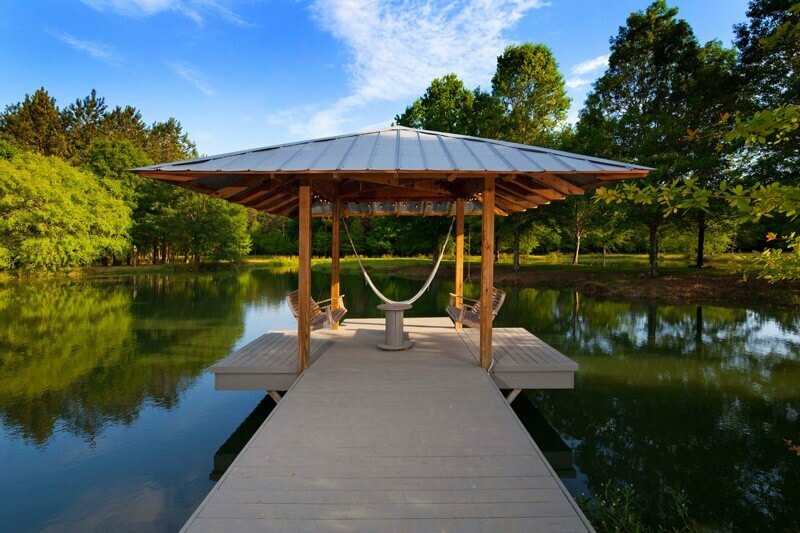 A gravel path leads to a gazebo built out over the water, with porch swings and a hammock. 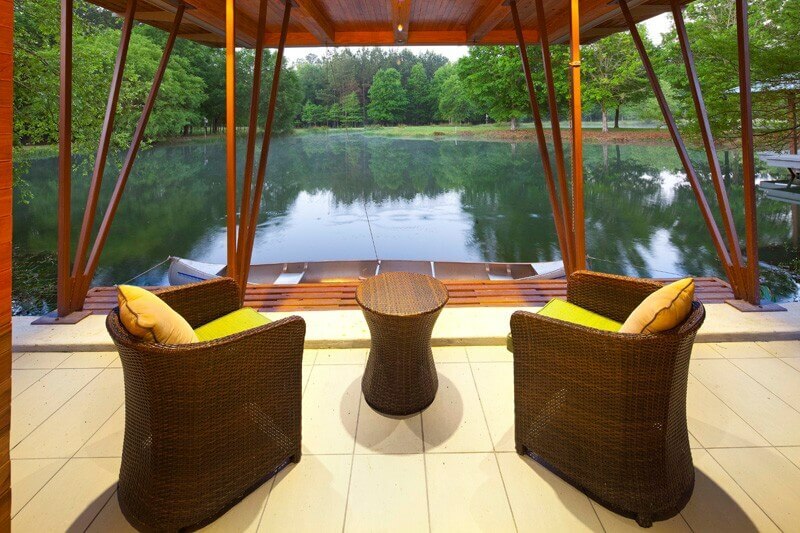 Nearly everything is lined with warm wood, including the indoor/outdoor spaces. 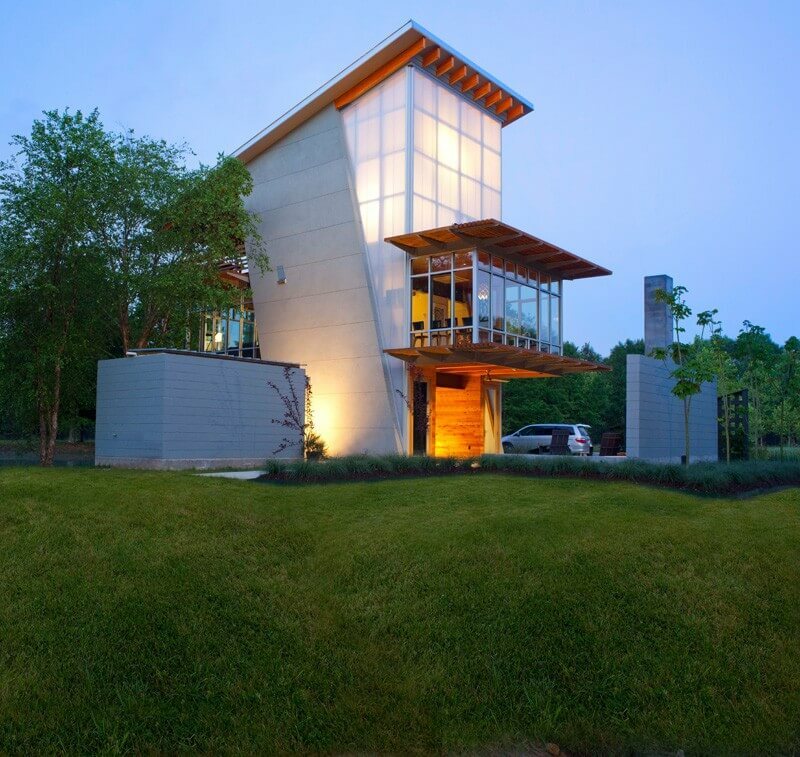 And at the rear of the home, translucent panels filter light and enable the entire structure to glow like a lantern at night.